By using this blog you agree to the terms and conditions listed below. 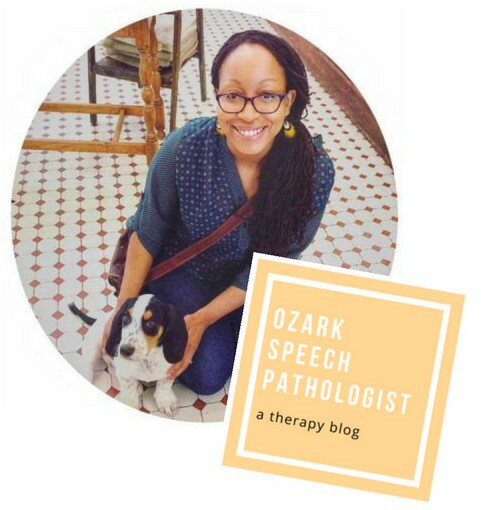 Ozark Speech Pathologist is a personal blog created for speech-language pathologists informational purposes only. The information presented is the opinion of the author only and not those of the author’s employer. The information contained in this blog is not intended to replace medical or professional diagnostic or treatment recommendations provided by a licensed speech-language pathologist. All content provided on Ozark Speech Pathologist is for informational purposes only. The owner of this blog makes no representations as to the accuracy or completeness of any information on this site or found by following any link on this site. The owner of Ozark Speech Pathologist will not be liable for any errors or omissions in this information nor for the availability of this information. The owner will not be liable for any losses, injuries, or damages from the display or use of this information. Any resources, websites or materials discussed on this blog are ideas and tools only and are meant for certified Speech-Language Pathologists only. If you are not a Speech-Language Pathologist than the author suggests to seek a consultation with a certified Speech-Language Pathologist and do not attempt the therapeutic interventions or use of materials listed in this blog. The author of this site does not accept responsibility for content linked or referenced from Ozark Speech Pathologist. Unless otherwise noted, the materials available for purchase or free printable download on or through this blog were created by Ozark Speech Pathologist or the author could not found as the content was located without authorship on the document/content/photo. Please do not steal images or reproduce materials without giving credit where credit is due. Please contact Ozark Speech Pathologist if you feel the information was not credited accurately. Unless otherwise noted, the content of this site are the intellectual property of Ozark Speech Pathologist. Please feel free to share posts and content but link all shared posts and content back to the original page and give credit to Ozark Speech Pathologist. Do not copy or re-post any portion of these blog posts, photos or printables without written permission, which can be obtained from me at ozarkspeechpathologist@gmail.com. Ozark Speech Pathologist does not represent or endorse the accuracy or reliability of any information’s, content or advertisements contained on, distributed through, or linked, downloaded or accessed from any of the services contained on this website, nor the quality of any products, information’s or any other material displayed, purchased, or obtained by you as a result of an advertisement or any other information’s or offer in or in connection with the services herein. Ozark Speech Pathologist is a participant in the Amazon Services, LLC Associate’s Program. This program allows participants to earn advertising fees by advertising and linking to Amazon.com. Some posts may contain affiliate links.